Training to the Sign Industry. 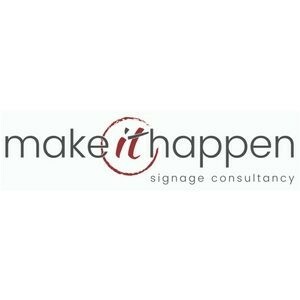 Make it Happen Signage Consultancy Ltd – Part of our offerings is our Education Programme to the sign industry, offering a 10-3.30pm programme on signage/lighting. From January 2018 a collaboration with the BSGA was a huge leap forward in the recognition of the course. Those that have attended from 3 days to 30 years in the industry, all going away saying that they have learned something new. We actively promote & sell products, as well as resources on project management & consultancy to support a businesses own development with systems and procedures. Our offerings are a support service when required without the need for a full time salary/employee. Edit Make it Happen Signage Consultancy Ltd.